Fundamentally, "I" is a perspective. "I" is a facet of harmonic energy in temporal association with dynamically ordered matter. "I" is body, ego, personality, intellect, indoctrination, and emotion added to a singularity in Consciousness. I seem unable to describe more precisely the basis of "I" who is writing this. One difficulty is that there are multiple dimensions of "I" - many likely beyond the mind's ability to understand. Of course, language is partially to blame, too. Words aren't adequate to describe that which the mind is challenged to understand; sentences create only metaphors in an attempt to transfer interpreted abstraction from one mind to another for re-interpretation back to abstraction. So, with even my native language failing me, it's a daunting task to consider what I should write next. To complicate things further, the mind's experience doesn't correlate with what I'm trying to say. The mind masquerades as me and ego tends to confirms the mind's assertion of self. We are trying here to use the mind to understand self when it regards itself as self. Ego concurs with the mind in believing that what I've created in myself somehow defines who I am. It can be difficult to hold the realized self apart from what the mind tells us. The very fact that I am intellectualizing this is counter-intuitive, if not self defeating (pun intended). Of course, we can be very zen-like and stop at saying there is no self and nothing to understand or explain. We really could and that would be perfectly fine. I think we are equally correct to inquire into the the experience of self and to attempt to understand it better. Even accepting a non-dualistic interpretation of pure awareness as self, there still remains an apparent need to distinguish our experiences. The "I" is a differentiated experience - we are more than 'One' undifferentiated blob of consciousness floating throughout the universe. There is a self that has a limited experience - and is capable of, at least having an illusion of, driving a car, flying a plane or throwing a stone. So, apparently layered over the fundamental non-dualistic "I", there appears to be distinguishing features that differentiate the individual. I'm discovering good reason for gurus, prophets and poets to leave such topics cryptic and vague. Even with some of the rhetorical and intellectual bases covered, I might do better to quit after describing the Polihale experience (see Kaua'i-realized). I'm about to go beyond interpretations that I feel confident to be true and correct - departing from linear rationality to describe a state of metaphorical noesis. 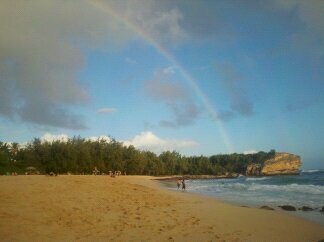 Late at night, during a 13-hour meditation under the near-full moon on 'Secret' Beach on the Northeast side of Kaua'i, I engaged what seemed to be an energetic (non-physical) entity. The experience seemed purely intuitive, seemingly originating from a source higher than intellect. 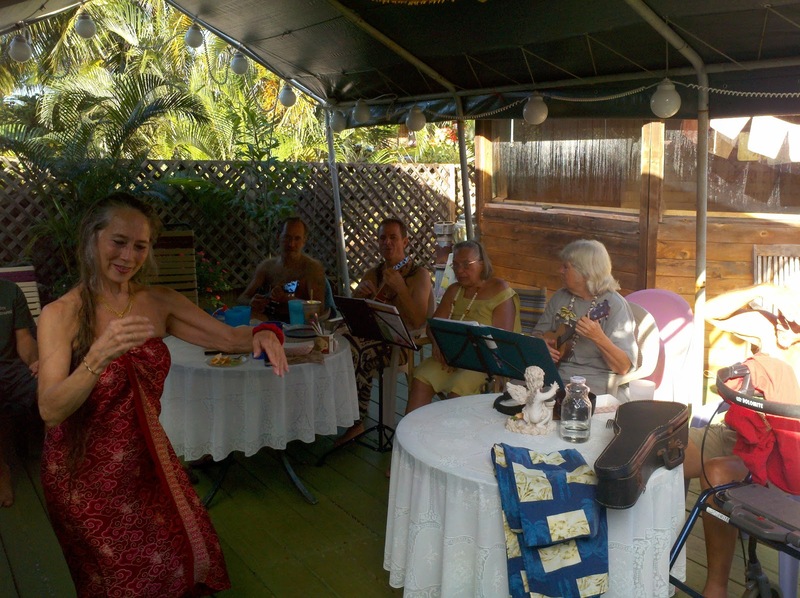 It was different from the awareness experience at Polihale. This was an awareness of a differentiated energetic state of "I" that seemed to emanate from distinguishable locales within consciousness. As I sat with it, I encouraged it to enter my experience and even made an odd attempt to make myself permeable to it. I gradually felt myself incorporated by this other being. It felt like it entered me rather than me entering it, though it was likely just my perspective. It brought with it an expanded life force that was resonate with the being of "I". It was comfortable and calming - it seemed to be a higher frequency, expanded "I" that was able enter the mind/body while in its state of meditation on the beach. The frequencies merged into one and I consciously tried to hold it in an expanded self. I knew somehow that it was the one known prior to me as I'dia. I've been aware of its presence and close association, though it had until then seemed like a separate entity. This time it felt like it was part of the "I" - somewhat like an energy level that had been available, but not occupied by my own awareness. It seemed to take the form of an energy field within a discrete frequency structure. I have noticed other energetic forms that seem associated with the "I". It's clearly important to be highly selective about which ones to incorporate. Most seem like discrete life form energies that are attached to my own discrete life form. Some seem beneficial while most seem to clutter the field - there seems to be a benefit to clearing them. Some forms seem aggressive and stealthy and will try to incorporate into a sort of parasitic relationship. This one was different in that it seemed harmonic with my being and connected to the root self. We accept the fluidity of the biological structure with cells, molecules and fluids in a state of constant recycle. We eat plant and animal parts to build and maintain our physical bodies. It seems that the fundamental life energy structure is fluid, as well. Thus, I seemed to incorporate the energy force known to me as I'dia and hold it as a part of "I" in much the same manner that one acquires nutrients in order to grow. I am that I am - a metamorphic perspective of Consciousness. I wouldn't want you to think that I spent my entire trip investigating subtle life forms. 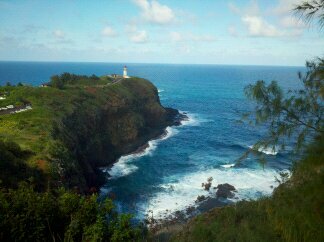 The Oahu portion of the trip expanded from a planned 6 days to 8. We visited an energetic medicine clinic that resulted in large (15 ml) injections of naturopathic solutions under the skin to be followed up with 10 more weekly injections. We also enjoyed a deep ceremony on the North Shore as the surf pounded the beach. This area had been a "jumping off" point for centuries - a place where natives would go to die. Needless to say, the space felt highly sacred. 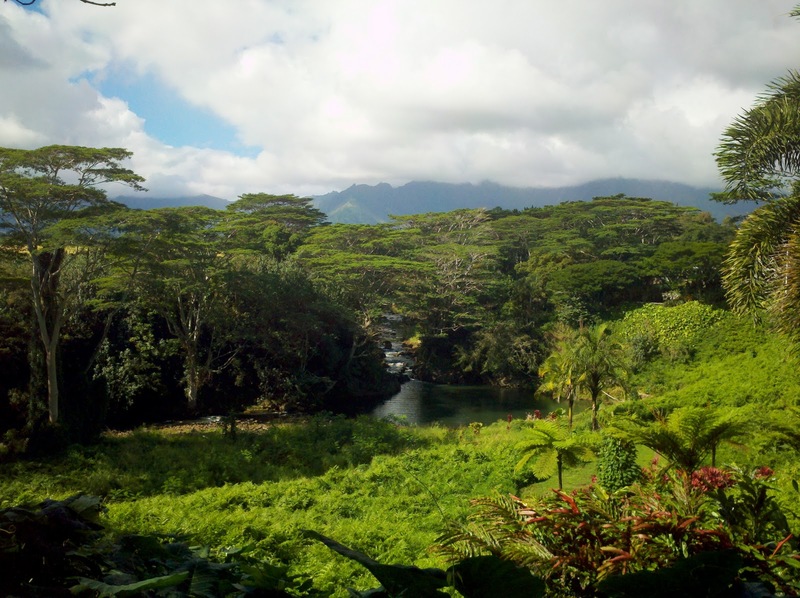 The Kaua'i portion stretched from 7 to 11 days due to the graceful state of mind it supported. 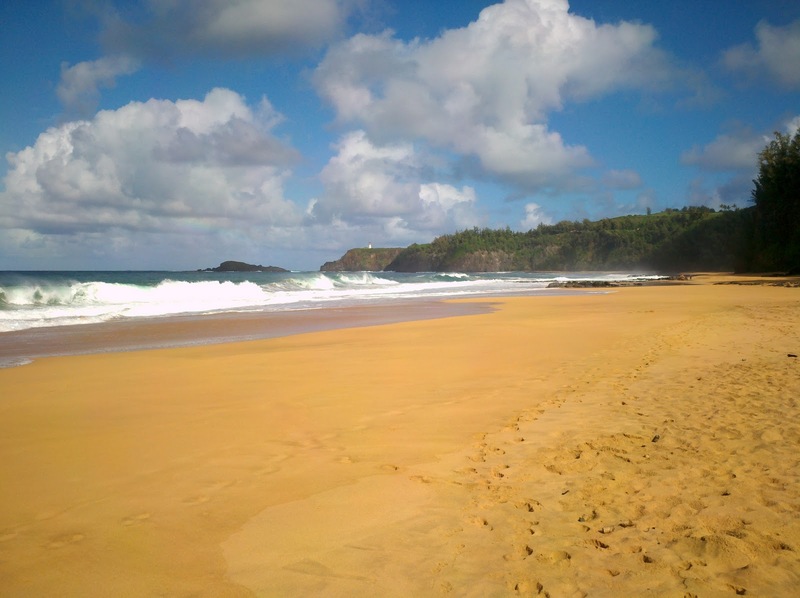 The mostly unspoiled beauty of Kaua'i is what the sentient experience is all about. The island was conducive to enjoying its beaches, waters, roads and trails. We meditated at the Hindu shrine. 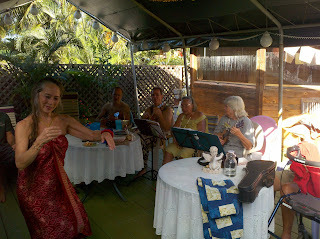 We swam and snorkeled at several beaches around the island and danced the hula. We rented a plane and flew around the island to view the rugged Na Pali Coast, Waimea Canyon, numerous water falls and the like - much of it not accessible by auto. 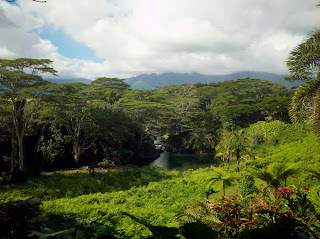 Kaua'i never expressed such subtle grace and beauty on prior trips. Perhaps, the "I" observed from a different perspective on this one. "I" is "Pilot in Command"